Welcome to the new MNGA website! We’ve gone through a transition over the past month in updating our web presence— we now have an improved website that will feature regular updates and be more user friendly. We’ve also established a Facebook group to encourage active online discussion from existing members and those interested in becoming members. Lastly, our new Flickr page will be home to a growing collection of photo albums highlighting MNGA meetings and events. All news and recent happenings will be updated on this page, so stay tuned for more postings. If you’re not already a member of the MNGA and would like to sign up then visit the Become A Member page. At our recent fall meeting we elected a few new officers and filled vacant spots within the board. 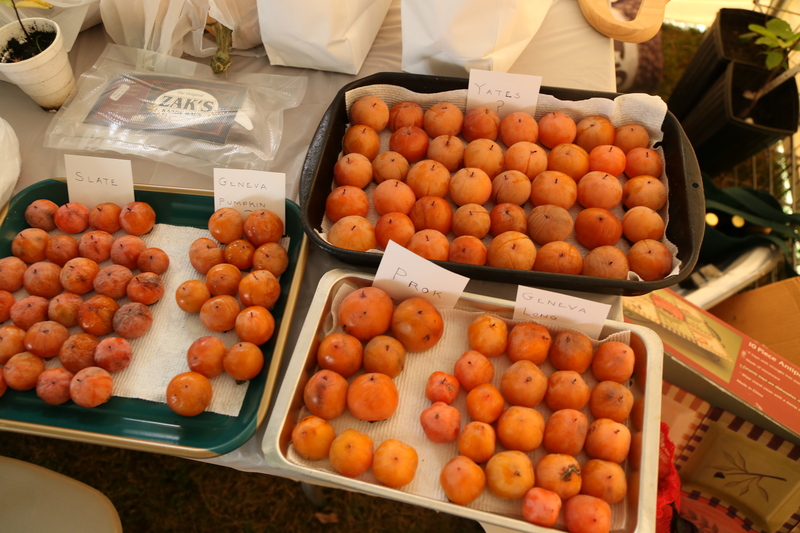 The meeting was held at Hank and Nghi’s homestead in Williamston, MI where they have an extensive American persimmon collection. Taste testing was done on numerous cultivars and they all ended up being high quality. Hank and Nghi warmly welcomed the group to their site and offered top notch hospitality; big thanks to the two of them. Hank and Nghi were indeed very gracious hosts for the MNGA Fall meeting. It was really nice that they had their persimmon varieties labeled so that we could decide which ones we liked best…though i liked them all! They also shared sliced Asian pears. I had not had them previously and learned that i need to grow some. They are delicious.